The tension rope, as indicated, helps you to stretch your suspended net correctly, once it is in place. The tension rope is sold by linear metre : when in your cart, type in the required quantity (in m). - It is also used to hold your net, railing or catamaran trampoline in place, laced between the fixation system and the bolt rope. - To adapt the rope to your net/trampoline, we provide several diameters. - If you are setting up a railing, a smaller and more discreet diameter is recommended. - However, if you are setting up a suspended house net, it is better to use the 10 mm diameter rope to increase resistance. - The rope is made from multi-strand polyester to increase its resistance. 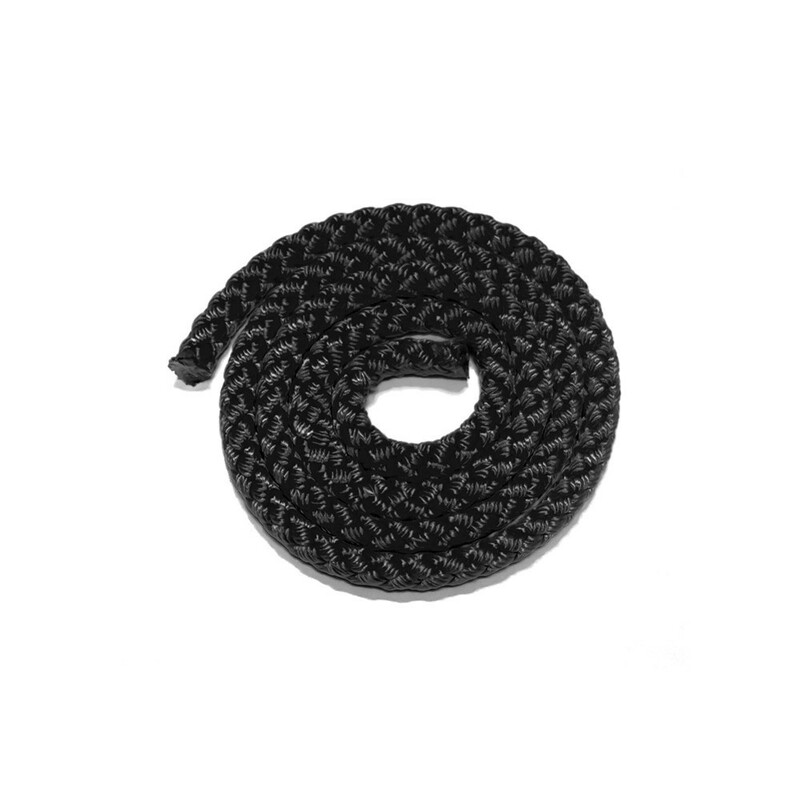 - Our ropes are available in black or white, you can choose the colour depending on the couleur of your net. - Tension ropes are available in several different diameters, depending on how you wish to use your net : 10 mm, 8 mm, 6 mm or even 4 mm. - The tension rope is laced between the fixation point that you have fixed to the supporting structure and the bolt rope on the net or eyelets on the edge of PVC or Mesh nets. It is essential to centre your net correctly before tightening the tension rope. - You can also buy tension rope without having to buy a net, just choose the quantity you need and we will send it directly to your home.